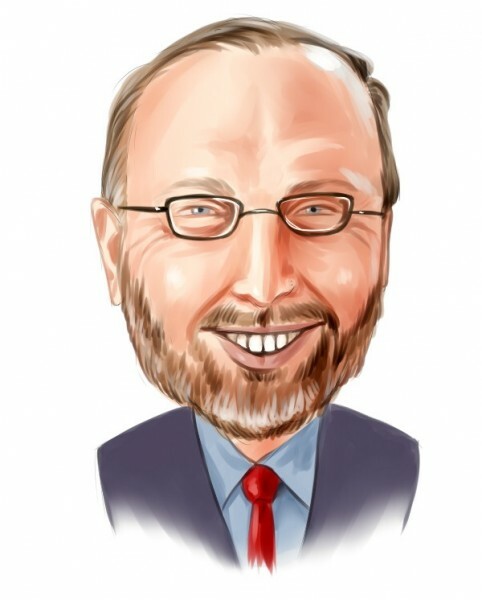 Billionaire Seth Klarman is a notorious investor who despite his uncoventional approaches always managed to achieve high returns. He founded Baupost Group in 1982 with around $30 million and since then the hedge fund grew to one of the biggest in the world and currently manages over $28 billion in assets. Mr. Klarman is very secretive about his strategies, which often involve using derivatives and options. Moreover, the investor uses a conservative approach and prefers to keep a significant amount of cash. Because of Mr. Klarman’s secrecy, the only way we can analyze his moves on the stock market is by following Baupost’s filings with the Securities and Exchange Commission. But what do we need to track the activity of Mr. Klarman and other investors? From one point, these big money managers usually invest in large-cap stocks that even though can provide stable returns over the long-term, will not be very profitable for retail investors. As we have analyzed an equally-weighted portfolio comprised of 50 most popular stocks among hedge funds, we found out that it underperformed the S&P 500 by an average of 7 basis points per month. However, even though media, investors and the public is focused on large cap stocks, we also discovered that small-cap picks that are most popular among hedge funds can also give a competitive edge to smaller investors. With that in mind, we developed a strategy based on these small-cap picks and since the end of August 2012 until March 2015 this strategy returned 132% and beat the S&P 500 ETF by almost 80 percentage points. Mr. Klarman is not different from other investors as Baupost’s last 13F filing showed that his top five largest holdings, which amass 63% of the fund’s equity portfolio, are all in large cap companies. With around $5.09 billion in equities, Baupost is focused on investing in technology, energy, and healthcare stocks, among other sectors. What we also noticed from the fund’s latest 13F filing is that Mr. Klarman has a significant exposure to biotechnology industry, most of which are small and mid-cap companies. With that in mind, let’s take a look at four largest holdings from Baupost’s equity portfolio represented by biotech stocks. On the first spot is Theravance Inc (NASDAQ:THRX), a royalty management company that maximizes the potential value of the respiratory assets. Baupost disclosed a $280.40 million position in the company that contains 19.82 million shares. The stake was initiated during the first quarter of 2008 and initially contained 5.33 million shares and was raised as Theravance Inc (NASDAQ:THRX)’s stock surged by over 130%. However, over the last year, the stock of the company fell by 32%, despite the company’s revenue growing to $8.0 million in 2014 from $5.0 million a year earlier and its net los narrowing to $1.50 per share from $1.67. However, what’s more important is that last year Theravance completed the spin-off of Theravance Biopharma Inc (NASDAQ:TBPH) in May. Theravance Biopharma is also a biotech company that specializes in the development and sale of small molecule medicines. Its stock lost 17% since its IPO and the company widened its net loss to $7.46 in 2014, from $4.92 a year earlier, although its revenue surged to $11.69 billion from $226,000. Baupost Group also keeps shares of Theravance Biopharma Inc (NASDAQ:TBPH) and at the end of 2014 reported holding 6.06 million shares, valued at $90.43 million. During the fourth quarter of 2014, Richard Perry’s Perry Capital surged its stake in Theravance Inc (NASDAQ:THRX) by 120% to 4.03 million shares, but sold its entire stake in Theravance Biopharma that contained 433,500 shares. On the other hand, Israel Englander‘s Millennium Management surged its stake in Theravance Biopharma Inc (NASDAQ:TBPH) by 138,100 shares to 148,400 shares and added around 60,400 shares to its position in Theravance Inc (NASDAQ:THRX), taking it to 86,600 shares.